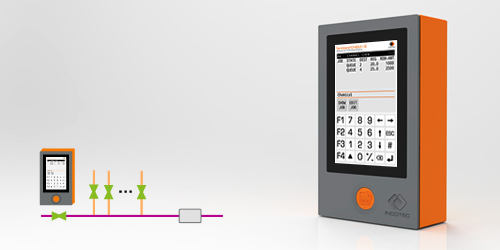 Automatic in-line measurement of area and thickness as well as continuous marking, selection and automatic stacking. 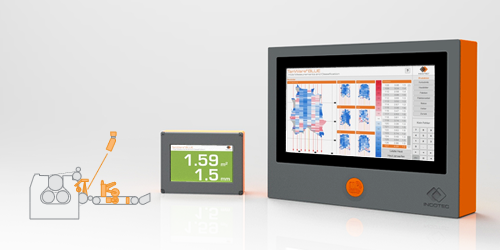 Camera based area measurement with high precision of +/-1%. High speed option. Sensitive electronics away from wet area. Robust thickness measurement with high internal precision of 0,01mm. Data export. Connectivity to ERP systems. RFID functionality. Stand alone solution or add on measuring device onto your favorite machine choice, e.g. new or existing sammying machine. 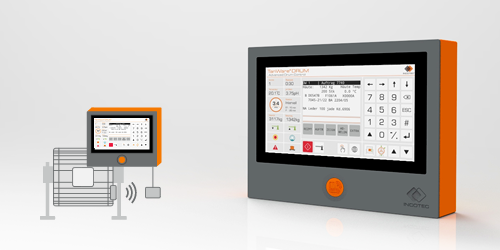 Fully or semi automated vessel control system, with manual mode for emergencies. Autonomous operation after job receipt allows safe and independent processing. 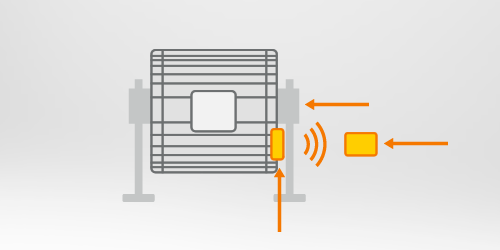 RFID identification of operator and drum. Documented interventions allowed for authorized personnel, e.g. formula changes. Supervision and control of peripheral equipment, e.g. lab-tank, prep-tank, filter, CO2, water and chemical dosing, drainage, load cells, etc. Permanent recording of all process parameters. Fully or semi automated control system for laboratory drums, with main capabilities of TanWare DRUM. Cost saving 7” control panel. Formula editing centralized. Same recipe structure as production systems allows easy upscaling of test recipes. 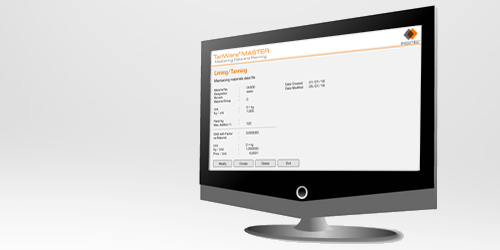 Automated or stand-alone functionality for prep-tank operation. Addition of water and chemicals, monitoring temperature and fill level, heating, mixing, spraying. Own 7” control panel. 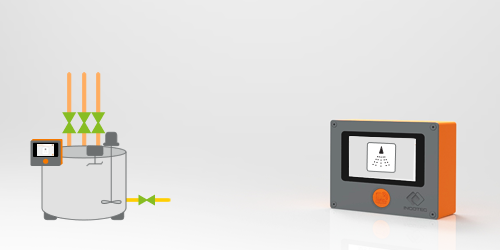 RFID identification of operator and chemicals. Manually added chemicals guided by display and to be confirmed. Wireless transfer of drum measurements and controls. Just one air coupling needed. Measurement of drum temperature at two points. Precise drum position in 1° resolution for positioning. Drum RPM. 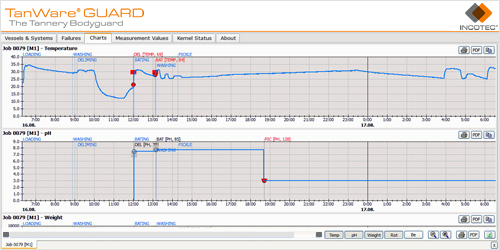 Monitoring of drum pressure for security. Control and supervision of automatic doors, draining valves, decompression valves. valve positions. 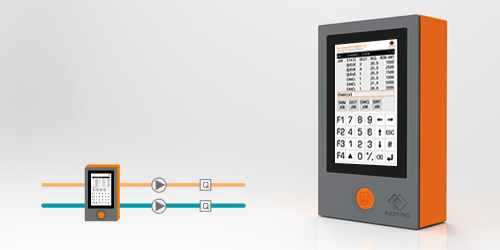 Central pH measuring station, linked to the TanWare network and usable for any number of drums. Guided measuring procedure avoiding failures and cheating. On demand use of pH probe. Tolerance check and reporting, connected to TanWare DRUM. 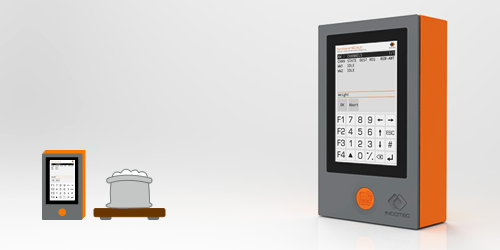 Computer aided weighing station for manual dosing of powders. Stand Alone or automation integrated with TanWare DRUM. RFID identification of operator and batch. Barcode identification of chemicals. Batch security code for exact identification of products at the drum. Guided dosing by counting down. Settable tolerance margin. Features to avoid human mistakes. Tracks and records of all operation data. Precise dosing of up to 24 chemicals by weight. Optionally more. Operation manual or fully automated via TanWare DRUM. 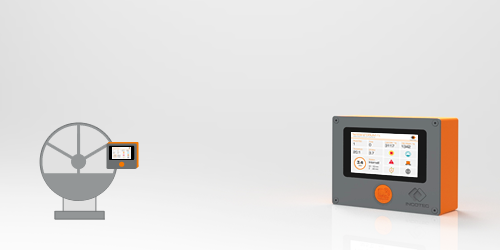 Intelligent self-learning valve control for optimum efficiency. Intelligent batch prioritization for optimum scheduling. Dynamic pump control for anti-crystallization. Detection of viscosity changes. Any complexity of dosing jobs possible, e.g. instructions for stirrer or rinsing, guided manual additions. Semi-automated dosing of less frequent chemicals with extra pump. Precise and faster dosing of larger liquid chemical volumes. Unique valve leakage detection feature for optimum security. High quality inductive flowmeters – maintenance free. 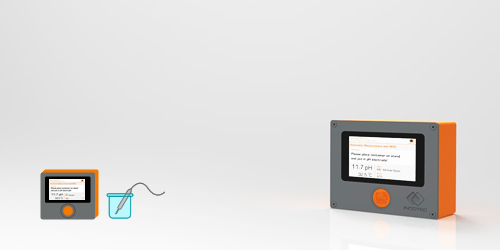 System also supports CO2 dosing, optionally with flow regulation. Precise and economic dosing of multiple chemicals with high volumes. Mass flow sensor works independently of specific weight and temperature. Combination of gravimetric precision and volumetric speed with common feed pipe to multiple drums. Space and cost saving installation. Automatic dosing of water, operated either autonomously or via TanWare DRUM for full automation. Precise process water temperature within 0,5 m.
Intelligent mix of 4 different water sources possible (hot, cold, chilled, recirculated). High flow rates from 500 to 2.000 l/min. High speed and precision: 2 independent high quality regulation valves. Inlet temperature and pressure monitoring. Safety by using redundant temperature sensors for mixed water. 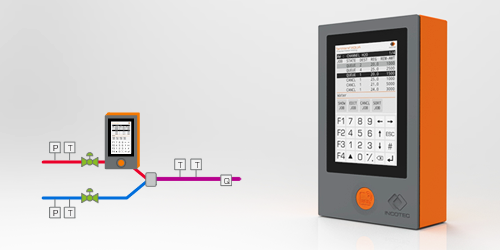 PC-based software package designed to coordinate full automation with multiple jobs and multiple systems. Central key for formula programming, job preparation, process analysis, authorization management, etc. Data connectivity to ERP systems. Data based client server architecture. Administration of materials, recipes and records. 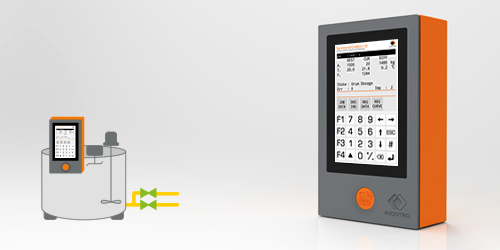 Central system collecting real time data from all TanWare modules and verifying correct functioning of all systems. Various alarm functions – optical, acoustical or messaging services. All process activities in one overview. All operator requests in one summary. Real time graphical value reports and tank levels indications. 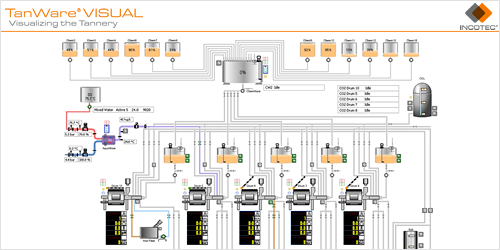 Graphical process visualization of real-time information from the entire plant – your factory at a glance.